Continuous Clinical Professional Development (CCPD) is a an initiative introduced by the Enabling Access to Mental Health Program in Sierra Leone – A EU funded project. CCPD was designed to provide ongoing capacity enhancement of service providers (mainly the District Mental Health Nurses) in a bid to increase evidence based service delivery at their respective districts. The Building Back Project and other partners saw the effectiveness of such skill development for the District Mental Health Nurses and have maintained the practice over the years. A two prong approach is being employed in conducting Continuous Clinical Professional Development for the Mental Health Nurses. Evidence based care, networking skills, data collection and a stronger relationship with the district pharmacists was increased as a result of the supervision conducted by volunteers and collaborating partners (KSLP & WHO). A systematic monitoring process of the work of the MH Nurses, case management (Patient assessment) and lessons learnt from CCPD workshop are been reinforced during these visits. – Enhanced knowledge, attitude and practice for effective service delivery. – Empowered the mental health nurses to keep up with best practices and being up to date with changing trends (more so with community mental health service provision). – Provided a forum where difficult cases are discussed – hence helping colleague nurses learning new approaches to care. 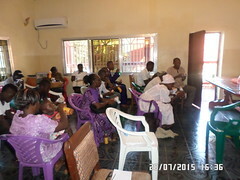 During the BBB Project implementation period, Regular District Support visits and CCPD were held in collaboration with Kings Sierra Leone Partnership (KSLP) and an average of 18 mental health nurses had been attending – this does not include other service providers like the Child and Adolescent Mental Health Nurses and Community Health Officers. Experience sharing on case management to ensure appropriate care for Clients. Facilitate networking opportunities between themselves, senior MoHS management, WHO MHPSS Focal Person, local Psychiatrist, Supervisors from BBB and KSLP. Reinforcing skills on basic MH principles of assessment, medication and subsequent care of patients. Previous PostCommunication and Relationships Building in Crisis SituationsNext PostPlease support the campaign to feed the mentally ill in the street of Freetown. Please start preparing for the MH Conference at the Northern Region. Makeni to be precise. All monies collection will be allocated for it intended purpose. You can also use the bank transfer details, which will be paid directly into the MHC-SL bank account for onward allocation. Thanks and God bless. Please note that this site is co-funded by the European Union (EU) and the Mental Health Leadership and Advocacy Programmes (mhLAP) in partnership with the Christian Blind Mission (CBM), the Global Initiative on Psychiatry (GIP) and the Ministry of Health and Sanitation (MoHS) - Sierra Leone. 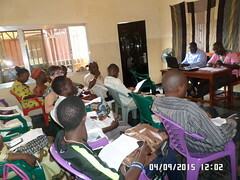 Enabling Access to Mental Health in Sierra Leone Voice with the voiceless on mental health issues. Mental Health Leadership and Advocacy Programme A Project established to train leaders on mental health issues. 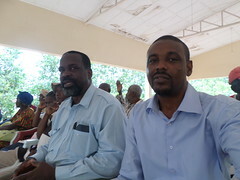 Sierra Leone Mental Health Initiatives (SLMHI) A COALITION OF MENTAL HEALTH PROFESSIONALS COMMITTED TO ADDRESSING THE MENTAL HEALTH NEEDS OF THE SIERRA LEONE POPULATION. Voice to the voiceless on mental health issue in Sierra Leone.